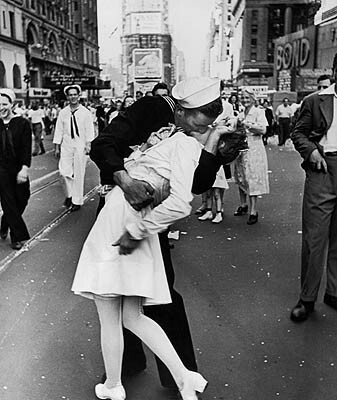 Is this not the most classic image of a NY kiss ever? Then once I got thinking… there are so many classic NY kisses. There is one for pretty much every classic NY movie. Breakfast at Tiffany’s? Kissing in the rain… so romantic (but totally impractical if you want your make-up to stay in place). Big and Carrie… with a classic NY skyline.. If you fancy creating your own moment of romance… then you should try and head to one of the DKNY “Kiss in a Cab” events being held at Debenhams stores. Taking place in Birmingham, Cardiff and Edinburgh, participants can recreate a classic NYC kiss in front of a professional photographer. The photographs will then be uploaded onto the DKNY website (www.dknyfragrances.co.uk) and displayed in full glory within the Classic Kiss gallery! If you can’t make it to one of these events then stay tuned as there will be an exciting giveaway right here, coming soon!